I’m happy to report that Spring seems to have really, truly, officially arrived. The temperatures have warmed (and appear to be staying around for a bit), the birds are out in full force, my garden plants are budding leaves, and I’m overall more in the mood to get things done rather than wanting to hide and hibernate indoors. I followed up my race with my regular monthly knitting day with my girls. And a Starbucks Vanilla Blonde coffee, because if I didn’t have some caffeine I was probably going to fall asleep in the middle of knit group! I’m almost done with my Burst of Colors shawl (though truth be told it’ll probably be scarf-sized rather than shawl-sized). I cast off for the white and picked up stitches in the ‘seabreeze’ colorway, and I made some good progress last night while we had a family Monty Python and the Holy Grail night with the Mr. and his son. Today has been deemed ‘project’ day. It’s a beautiful 71 degrees and sunny with not a cloud to be found! So to take advantage of the weather, Mr and I made a trip to Lowes to pick up some necessary items for repairs around the house. Our garage door is breaking down but we can’t afford to replace it, so we’re trying to make it work for now. 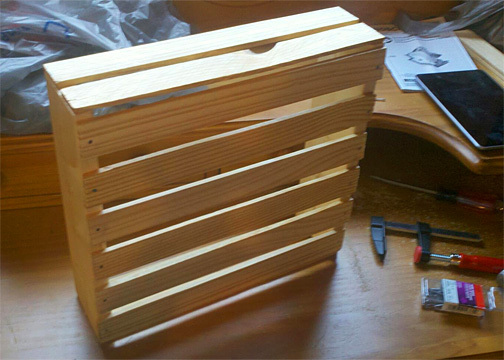 And then, while he was working on that, I broke out our brand new circular saw to cut some wood and build a crate. I’ve never made anything with wood before, and I’ve never used a saw, so it was both scary and exciting. The crate turned out great, though it’s far from perfect. But for a first project? 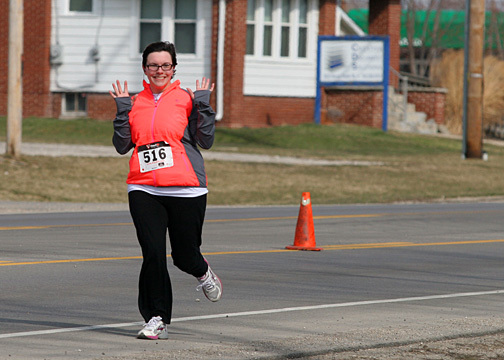 I think I did pretty great! And I’ve got a bit more confidence now to make more. 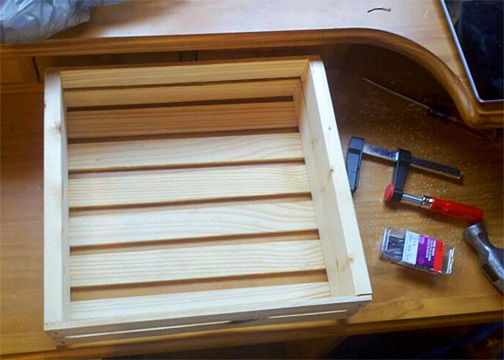 Next one I might make the effort to sand and stain it so I can use it for stackable yarn and craft storage! 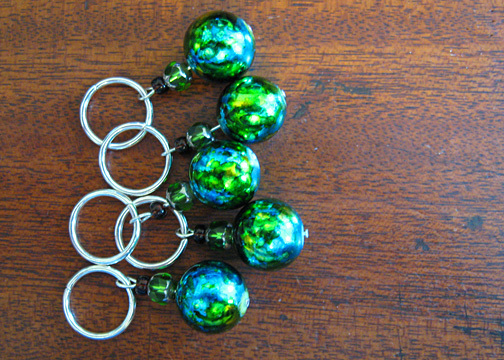 Speaking of crafts… don’t you just love those stitch markers?? They look like little Earths! These are going in a package to another knitter, but I might just have to make myself a set. 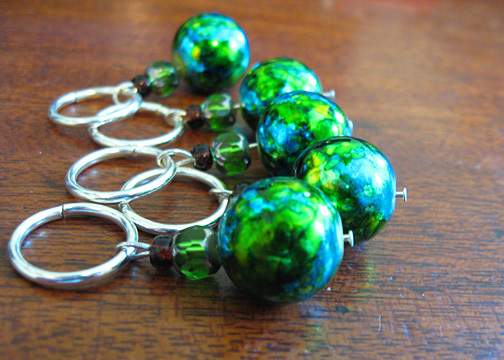 And I’m definitely making myself a set of earrings out of them for Earth Day!